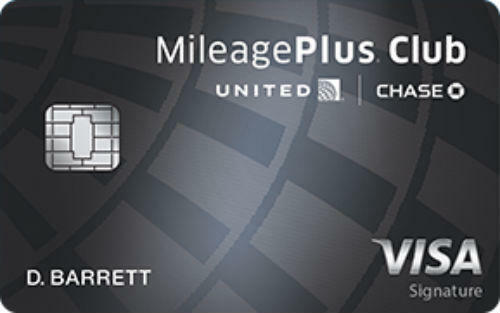 United MileagePlus Club Card Worth It? 2 miles per $1 purchases on United Airlines tickets. 1.5 miles per $1 on other purchases. Good if you are interested with United Clubs. We don't recommend if you are not visiting those places. 50000 bonus miles as sign-up bonus. $550 worth United Club Membership opportunity. There are high interest rates of the card. Even if you have excellent credit score, you will need to pay 18% annually. The annual fee of the card is very high. 5% balance transfer and cash advance fees are also high. 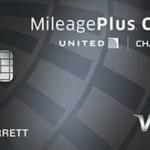 United MileagePlus Club Card is providing good benefits for consumers who are interested to visit United Airlines Clubs. 50000 bonus miles and $550 worth United Club Membership are available in the card. You are going to earn 1.5 miles per $1 spent and 2 miles on purchases on United Airlines Tickets. If you are visiting United Airlines Clubs very often, this card can be a good opportunity for you. Otherwise we recommend you to have UnitedSM Explorer Card because this card won’t be beneficial for you at all. There is high annual fee which will cost you $450. There is already high interest rates and fees of the card for cash advance, balance transfer and purchase. So this card worth it if you are interested with United Clubs. 1.5 miles on purchases and 2 miles on ticket purchases from United Airlines is another good benefit of the card. There is no foreign transaction fees. This is very good for a travel & flight card. As we already have told above, only downsides of the card is high interest rates and fees. 50000 Miles Bonus After $3000 purchase. You can read some users reviews of United MileagePlus Club Card below. You can also write a review for the card.